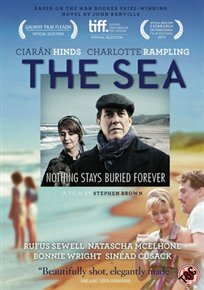 Ciarán Hinds stars as a man mourning the death of his wife. Art historian Max Morden (Hinds) returns to the seaside town where he used to spend summers as a youth in a bid to come to terms with the loss of Anna (Sinéad Cusack). Lodging at the boarding house of Miss Vavasour (Charlotte Rampling), which also plays host to Blunden (Karl Johnson), Max reflects on the 1950 summers he spent in the town and significant events in his past, especially moments involving Anna. Where will his reflections carry him?